PANDORA Princess Wish Stud Earrings. 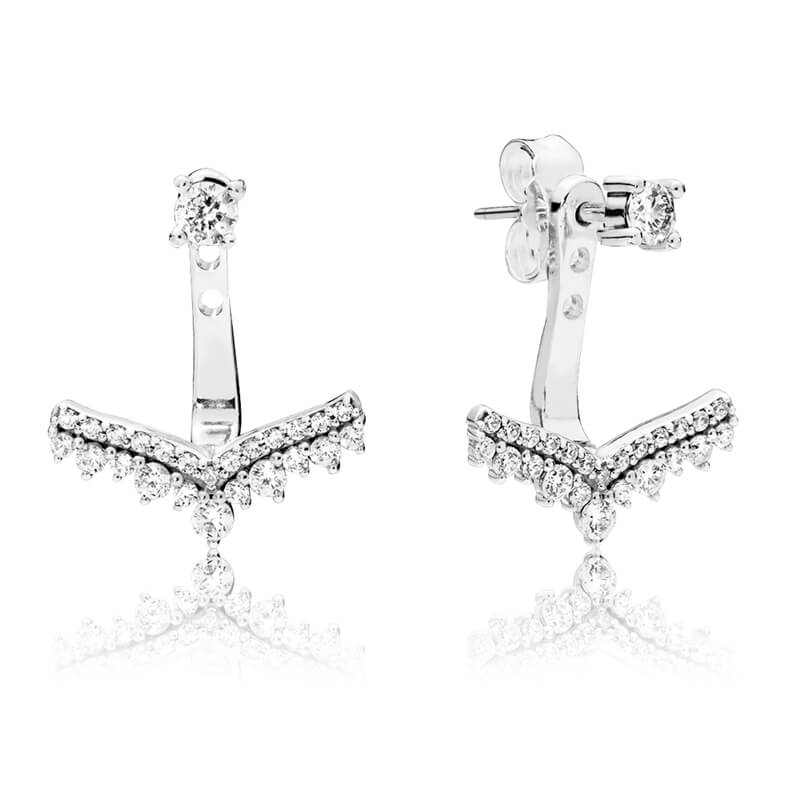 Dazzling and versatile, these chevron shaped earrings are the ultimate style staple. Made from sterling silver, they have removable earring jackets which can take these simple studs from day to night in an instant.